The Massachusetts Appeals Court recently reversed the conviction of a man who was found guilty after trial in the Cambridge District Court of gun/firearms charges, including unlawful possession of a firearm. T he issue on appeal concerned the pre-trial motion to suppress challenge of the defendant, who argued that he was unlawfully seized and searched by police because they lacked reasonable suspicion to stop him. The case arose in 2006 when a woman reported that her car was struck by a bullet as she was driving in Cambridge, Massachusetts. At 10:50 p.m., Cambridge Police Officers met with the woman near the location where the shots were believed to have been fired. She told police that, immediately after the shots, she saw a group of young black males run into the courtyard of a housing complex. Notably, she stopped short of saying that the group was involved with the shooting of her vehicle, and she was not able to provide any descriptive information about the males she saw running. While speaking to the officers, she saw a group of males standing on the sidewalk, very close by to where she believed the gunshots came from. The officers looked at the group and their attention was drawn to an individual who stuck his head out from around the corner and stuck it back in. The officers drove to where the group was and approached them. They questioned the group of youths whether they knew anything about the gunshots and they all denied any knowledge. The officers then asked the group if they could pat frisk them for “officer safety”. Some in the group agreed to the pat frisk, but the defendant in this case became argumentative and he tried to walk away from the officers. 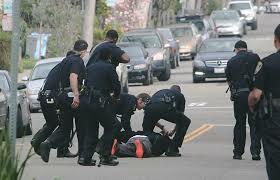 The officers began to pursue the defendant and the defendant turned and began to run away from the area. The police told him to stop by he ignored their commands. After a brief chase, the police eventually caught the defendant, searched him and discovered a gun. When it comes to lawful stops or “seizures” in Massachusetts, a citizen is “seized” if, in view of the circumstances, a reasonable person would have believed that the was not free to leave. In this case, the Massachusetts Appeals Court determined that the defendant was “seized” when the police began to pursue him. Although he initially consented to the interaction with the police officers, he attempted to terminate it by walking and eventually running away. In this regard, when the officers pursued him, the pursuit of the defendant was an attempt to impede his freedom of movement and he was “seized” for constitutional purposes – at that moment in the encounter, a reasonable person would have believed that he was not free to leave. In these types of case, once a stop or seizure has been determined, the legal analysis then involves whether the stop was based on the police officers reasonable suspicion that the person was committing, had committed, or was about to commit a crime. The law requires that the officer’s suspicions be grounded in “specific, articulable facts and reasonable inferences therefrom” as opposed to a mere “hunch”. Here, the Massachusetts Appeals Court held that, based on the facts known to the police officers at the moment they seized the defendant, they were insufficient to establish reasonable suspicion that the defendant was connected to the alleged shooting that had occurred. The Appeals Court explained that, at the moment of the seizure, they had nothing but a very generic description of the possible suspects. In fact, they police officers only knew that “a group of black males” was involved. There was not descriptive information provided to the police, such as distinctive clothing, facial features, hair styles, race, skin tone, weight, height, or any other physical characteristics that might have narrowed the possible range of suspects. In some cases, a vague or general description of the perpetrators may be enough where there are other factors known to the police, such as “furtive movements” or suspicious behavior – but there were not other additional factors here to consider. Additional factors, such as that the incident occurred in a “high crime area”, “temporal proximity to the crime”, the “defendant’s flight” and the “nature of the reported crime” were inadequate to supplement the vague general description because those factors did not provide any negative inference from the location of the stop. In the vast majority of cases involving guns, drugs and other contraband in “street encounter” or motor vehicle stop cases, it is critical to evaluate whether the initial encounter with the police was constitutionally permissible in the first instance. If there is any question, a motion to suppress or challenge the stop should always be filed and litigated. Of course, some motions are more meritorious than others, and sometimes the issues surrounding the stop are much more complex than the case illustrated here. No matter what, a skilled and knowledgable criminal defense lawyer will know how to raise and litigate the issues so that you’re constitutional rights are protected. Massachusetts Criminal Defense Lawyer Lefteris K. Travayiakis can be reached directly at 617-325-9500 for consultation.